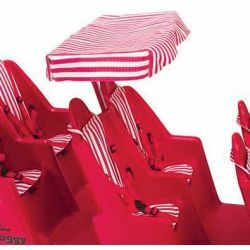 Provides shade for two seats. Single-pole canopy frame snaps easily into place. Made of breathable Textilene® fabric. For use with Bye-Bye Buggy only.